Science in the U.S. is finally starting to catch up with natural enzyme bio-remediation technology successfully used in over 30 other countries! A recent win in the U.S. came from our insistence that oil spill response methods move out of the dark ages and up to 21st Century standards. The Oil Spill Recovery Institute just awarded a $75,000 grant to the University of Alaska Fairbanks Institute of Arctic Biology to conduct a study on Enzymatic Bioremediation. This is the technology we have done numerous research studies and articles about, advocating for its adoption by industry, government regulators, and oil spill response professionals as an effective and real solution for cleaning up the Gulf of Mexico. Getting better technology used to clean up chemical pollutant spills in marine environments is a critical target! 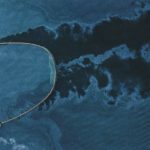 Despite the fact that numerous studies have been done on Enzymatic Bioremediation,(and, most importantly, one EPA listed agent, Oil Spill Eater II, has been effectively used on over 28,000 actual spills around the world), the Environmental Protection Agency (EPA) and other U.S. agencies have continued to pre-authorize, stockpile, fund and only allow the use of chemical dispersant agents which do not clean up oil spills. While we are encouraged by this new development of research funding, we must continue and expand our independent research programs bypassing existing systems to ensure false-data-prone science doesn’t gain ground and true scientific data is produced to support effective chemical pollution remedies. We will be monitoring the University Fairbanks study and sharing information from our Science and Tech Advisory Team doing parallel studies. 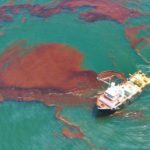 While millions of dollars continue to be poured into studying chemical dispersants in an effort to justify their on-going use, it is a very significant event that oil spill research funding has been given to a qualified university to study the enzymatic bioremediation cleanup method — a more effective and non toxic alternative to dispersant chemicals. We look forward to the U.S. catching up with the 30 other countries that are currently using effective cleanup technologies that work with Nature instead of against it. Here’s to a healthier world!